Banana! Something often heard in the Minions movie. Could it have been its predicament? 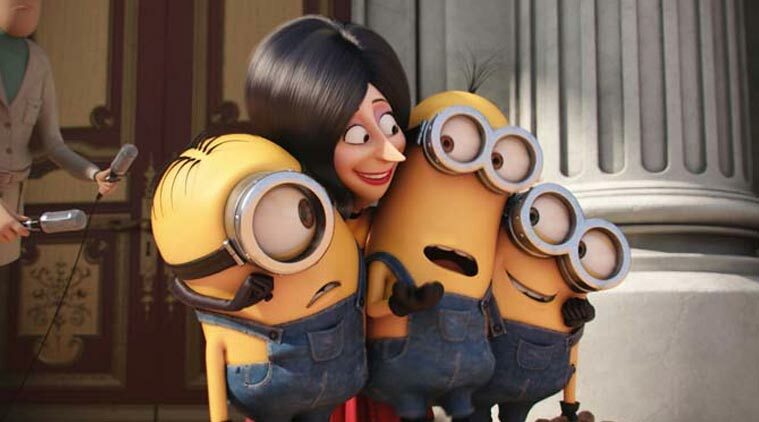 Last week, I have finally seen the Minions movie. It was very exciting to finally get to watch this masterpiece after hundreds of years waiting for the arrival. Been a fan since the 90’s, gotta say, a very original piece of work. Do you like milking? I don’t like it. But hey, it’s something that often happens with trending items. And because of that, I will not say that Minions was a bad movie. While some people could be like “nani” right now. There is a perfectly reasonable explanation behind that. First, of, minions as a concept have been overused and milked. And people who have seen them already, or those who play games. They would understand how it would be hard to enjoy more of it. Yet, despite the massive hate, the fandom is as wide as it’s haters.Truly, a fitting split in this world. Between hate and love, it illustrates the depth of human psychology. Without a doubt, ying and yang. However, let’s not get too spiritual now. The perfect split between opinions makes this a perfect opportunity to turn this into a debate. Did the Minions movie go banana? Well, let’s get back to what I was saying. Let’s look at it like this. If you were watching Minions for the first time, they would have probably charmed you and made you giggle with their cultural gags. But, if you have already seen a lot, and heard from your friend how lame it is. Then you would probably change your opinion very fast. Now that we have the two groups, tell me this, do you like bananas? Apples are the best, never forget. Start of the movie was very good for me. The opening was very well, the first impression I had was curiosity as the minions started humming the rhythm of universal pictures. The opening video and song very pretty good. I liked the music throughout the movie. The introduction after the opening is very well, especially for those who are unfamiliar with Minions. We also learn things about the minions. They are a species that has been living for a long time on this planet. From what we can tell, it has been since the age of dinosaurs. But scientists believe it could be far longer. Their sole purpose is to serve a despicable master. They are prone to destruction, which was later confirmed during the movie. The minions have server famous historical figures. Such as Napoleon, Dracula, and various Pharaohs. One question that rose up in my mind when I was watching minions. Are minions immortal? After thousands of millions of billions of centuries of searching for their master. Minions grew tired and built their own community. However, that could not satisfy them. So, Kevin decides to find a new master. Although, he could not have done it alone. When asking for volunteers a musician named Kevin joins and a young enthusiastic little Bob. New York, 1968, even though there are gadgetry and advanced technology. The time setting is intriguing, it mixed past and future well. Throughout their journey, minions prove to be quite adaptable. Traveling the world, they randomly see an announcement on the television. The “how to bad” event attracts their attention. And they decide to go to Villian con. Setting their destination to Orlando. Minions encounter the Nelson family along the road. The Nelsons re-appear throughout the series. They help them get to the Villian Con, which is where they part ways. The whole villain community is well made. And the underground life and presentation of it were actually a bit comedic. At villain con, they meet Scarlet Overkill. The top dog of villains, a lady beast with elegance madness. There they get introduced to her and take her as their new boss. With Scarlet as their new boss Minions get awesome new gadgets. They use the gadgets to steal the England Queens crown. As that has always been Scarlets dream (madness), and she threatens to kill them if they don’t (elegance). Wait, what? After this point, the story gets thrilling and exciting. At first, their speech was confusing. I wish they had subtitles for the speech. It was hard to keep track of the plot for the whole story. Not like there was much of a plot. But yeah, I wish they had subtitles. At a later point in the movie, I had already gotten a bit accustomed to it. But I would still wish they have included subtitles. Or perhaps there was a version with subtitles, but I might have missed it when I bought this movie. To watch it legally, totally paid, legit, 100% not from pirate sources. I totally loved the gadgets they got from Scarlet. Bob’s stretchy arms and legs reminded me of Luffy from One Piece. It also fits Bob’s eccentric personality very well. He has been hyperactive throughout the movie, and that gadget has been a great fit for him. Hypno hat is a funky tool when used by a musician. Again, goes very well with Kevin’s fun persona. As he uses music to subdue his enemies. Both gadgets are very exicing, they hit it right on the spot. And then we have the lava gun . . . Okay, so that would cover most of the things, I tried to keep it a bit free of spoilers. I could have actually included much more information in this post. Even if you have read everything and not have seen the movie. There are still some parts which I have not said. They were mostly the comical ones, short cultural gags and so on which are worth the watch if you got time and friends to watch it with. So here I’m gonna add my 100 percent free of spoilers explanation of the movie. It is too good to be true. I mean the explanation, not the movie. The story develops at a high pace. It has adventure-thrilling elements which keep you hooked on throughout the movie. Combined with cultural gags and unexpected twist-around brings forth qute an entertaining time spent. If you are having fun with your friends, not doing drugs like good kids. Then this is something you should watch. I would give this movie a highly rated 6/10. Without a doubt, we can say that the Minions movie was a good way to kill some time. Was it a masterpiece? Hell no. But that does not mean that it should get hated as it was from some people. I agree the concept of the minions is being overused. It’s everywhere, on toys, games. Even your toilet paper can have minions on them. My neighbor has minions on his car, for real. My brother has divorced his wife to sleep with his Minions body pillow. It’s really a disaster, they are taking over the world swiftly. Run and hide if you can but you can’t escape. Do I recommend this movie to you? Yes if you got nothing better to do. However, before you do that, go read Vinland Saga.